Changing Lives�One Bottom at a Time! To donate infant or adult incontinence products click on the red SHOP NOW button and then select the items you would like to purchase. 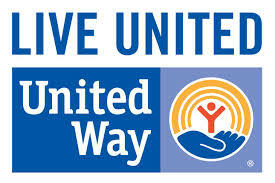 All donations are delivered directly to United Way of Hunterdon County. In order to raise awareness about diaper need in our area, United Way of Hunterdon County established a partnership with NORWESCAP Food Bank to create the Hunterdon Diaper Bank. The Hunterdon Diaper Bank, and its Diaper Distribution Network of over 15 agencies, provides over 45,000 diapers to children and adults every year, but the need continues to grow, and we need your help. With an average cost of $1,200 for a year's supply of infant diapers, the financial stress of early childhood development affects our low- to moderate-income neighbors the most. According to the Center for Economic and Policy Research, in 2014, the poorest 20% of families in the country spent 14% of their income solely on diapers. The National Diaper Bank Network estimates that, overall, 1 in 3 families struggle with diaper need. Adult incontinence products cost $1,200 per year as well. Because they can�t afford incontinence products, many otherwise healthy adults stop leaving the house for fear of having an accident. Conversely, for those folks who do become seriously ill late in life, the portion of their care that isn�t covered by Medicare, Medicaid and other insurance--like incontinence products--often means a depletion of their life savings, no matter how well they planned for their retirement. And unlike most babies, who will someday grow out of diapers, incontinent adults will generally bear this cost for the rest of their lives. Please consider partnering with United Way of Hunterdon County on this program. For information on the Hunterdon Diaper Bank, please visit uwhunterdon.org/hunterdon-diaper-bank, or call Bonnie Duncan at (908) 782-3414 x22. United Way of Hunterdon County is working to advance the common good by focusing on education, income, and health. Our goal is to invest in improving lives in Hunterdon County, by creating long-lasting changes that prevent problems from happening in the first place. Great things happen when we Live United.